Being a positive and productive influence for others has much to do with building and sustaining high value, mutually rewarding relationships. 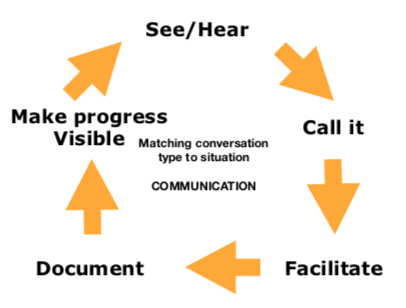 These 15 elements are the subject matter for my ebook Communication, Presentations and Conversations That Sustain Remarkable Businesses which you downloaded as The Essential Conversations Matrix in the Compete with yourself sparkenation. 1) Download the ebook above if you haven’t already. Commit to mastering each of the elements. You'll find this ebook at Sparkenation 5 in the companion resources web page to my Remarkable Workplaces book.